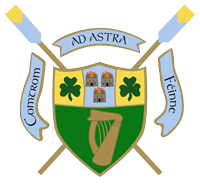 UCD Boat club enjoyed more success at the 66th Dublin head of the river last Saturday. The event, run by Old Collegians boat club, saw UCD claim the pendants for both novice and senior eights events. The senior eight completed the course 7 seconds ahead of their nearest rivals, Commercial, in a time of 12 minutes 46 seconds. After a less than perfect start, UCD?s senior men eventually managed to establish a solid rhythm which allowed them to pull away from the field after losing some ground in the first kilometre. Dublin head has been a successful event at senior level for UCD in recent years, this year?s victory completing a hat trick of wins to match a similar trend in Gannon cup results. The second year novices, who finished well ahead of their nearest novice rivals, were placed 5th overall in a time of 13 minutes 48 seconds. They rowed with great efficiency from start to finish, and their success was well deserved. The first year novices were unlucky to fall foul of equipment failure during the course of the race, and as a result they were unable to challenge any of the other novice boats. The next event on the schedule is London head of the river, the most prestigious head race of the season. UCD?s second novices are due to compete in the event, which often has an entry of as many as 400 eights. Technique, tenacity and fitness will be tested to breaking point over the 6.8 kilometres of the winding Tideway course. The crew are expected to benefit a great deal from the experience of competing in such a challenging and prestigious event.